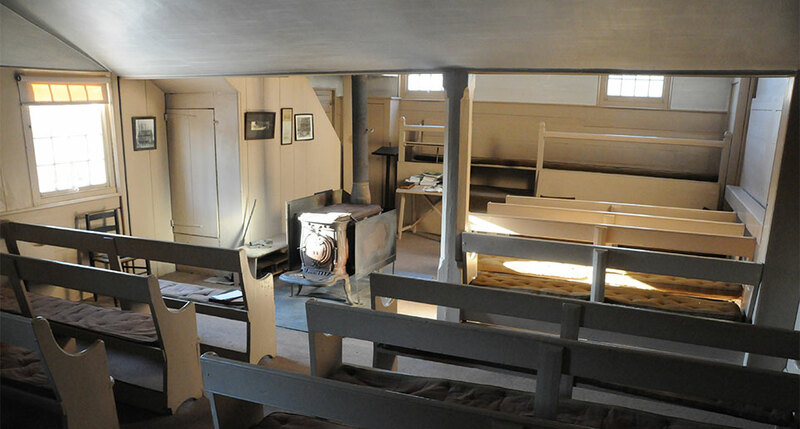 Since its completion in 1788, Jericho Friends Meeting House has been in continuos use. Meeting is held every First Day (Sunday) at 11:00 am and all are welcome to attend. WHAT DOES A QUAKER BELIEVE? A Quaker is a member of the Religious Society of Friends, a world-wide fellowship of those who believe that there is “that of God in every man.” Quakers hold that the worship of God is the primary purpose of the religious life. For non-Friends, this is accomplished by receiving sacraments, performing rituals, listening to sermons, reading from the Scriptures, singing sacred music. For Friends, group worship is a fellowship of the spirit. Fellowship of the spirit is based on silent communion without any program, yet resulting in vocal prayer, witness, testimony or exhortation. Quakers believe that God speaks to all men and women through the still, small inner voice. This was true in the past but also in the present. God speaks also in the present, his revelation is continuing. This is the Quaker contribution to religious experience. “Quaker” was the nickname given to the followers of George Fox in 17th century England when, at a magistrate’s trial in Derby, they trembled at the word of God. Early Quakers called themselves Children of the Light and Friends in the Truth. They might have been styled Seekers, for they were searching for religious truth. Quakers arose as a group in the century after Martin Luther and carried the Protestant Reformation to its logical conclusion. 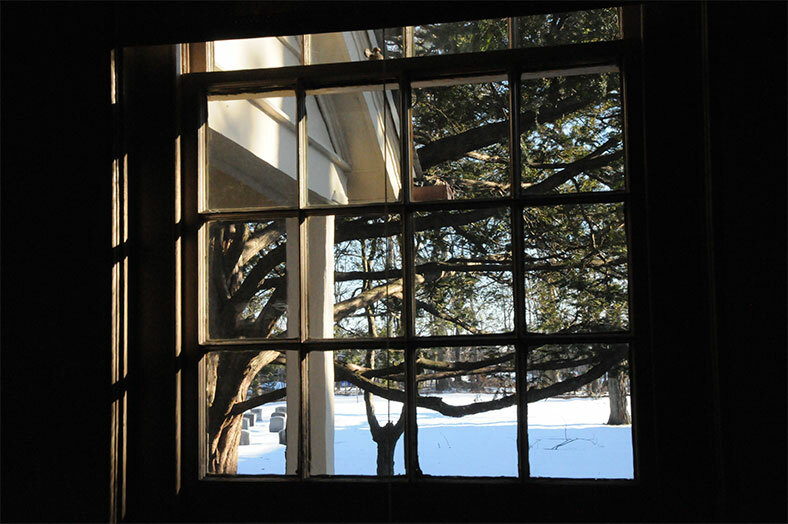 WHAT ARE THE BASIC TENANTS OF QUAKER FAITH? The faith of a Friend is simple and rests on absolute sincerity. Friends believe that God can be approached and experienced by the individual directly, without any intermediary priest or preacher. God is experienced through the Inward Light, which is the spirit of Christ Within. Friends do no have a written or spoken formal creed. They do have deep and strong beliefs. The Society of Friends never requires of its members the acceptance of any formula of belief. Friends hold that the basis of religious fellowship is an inward, personal experience. The essentials of Quaker unity are the love of God and the love of man, conceived and practiced in the spirit of Jesus Christ. WHAT IS THE INWARD LIGHT? The “Inward Light” is not conscience. It is what Friends call that of God in every man. It instructs and transforms the conscience as the true guide of life. Most often it is termed the Inner Light or the Light Within. It exists in all men and women. It resembles the doctrine of the Holy Spirit. It is known directly, without any mediation by any prophet or priest. For Friends, it is the source of all reality in religion, leading immediately to the experience of God. The Meeting for Worship is a form of church service that has no fixed, pre-arranged character. It is held without ritual or an ordained minister, and with no outward sacraments or formalized program. It takes place in a meeting house without a steeple, stained glass windows, altar or organ. Friends gather at the appointed time “on the basis of silence.” Out of their silent waiting may flow spiritual messages, vocal prayer, Bible reading, or ministry – from anyone who feels called to participate. After about an hour of worship, the meeting is broken by everyone shaking hands with the neighbor who sits next to or behind him, following the lead of those Friends who have been appointed to have oversight of the meeting, and who sit on the benches facing the meeting. 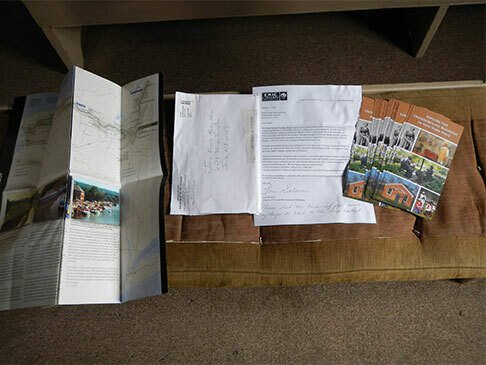 WHAT IS MEANT BY THE QUAKER WITNESS? An essential part of the Quaker tradition is that all members bear individual and group witness to their principles by the simplicity, integrity, uprightness, and directness they exhibit in personal life and in dealing with all peoples. 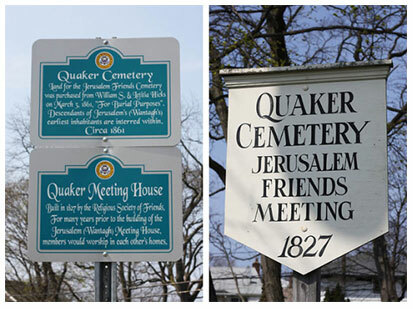 The outward expression of Quaker beliefs is found in group testimonials against war, for penal reform, against capital punishment, in opposition to slavery and all forms of discrimination, in efforts for better intercultural relations, a more Christian economic and social order, intelligent treatment of the mentally ill, and equality for women. 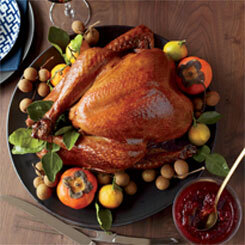 Thomas Powell, an early Long Island settler, is believed to have originated from England in the mid 1600’s. Powell first appears in Huntington historical records as “Recorder” (Town Clerk) in 1658. However, he left Huntington in 1687 after being asked to pay a “church tax”, a mandate with which he strongly disagreed and refused to do. In 1688 he purchased an 18 square mile tract of land later known as the “Bethpage Purchase” from three Native American tribes for 140 English pounds. Powell named this place “Bethphage” as it was situated between two other Biblically named locations of Jericho and Jerusalem (now Wantagh). For a century and a half, Powell descendants and fellow Quakers were virtually the only inhabitants of this vast expanse of land. 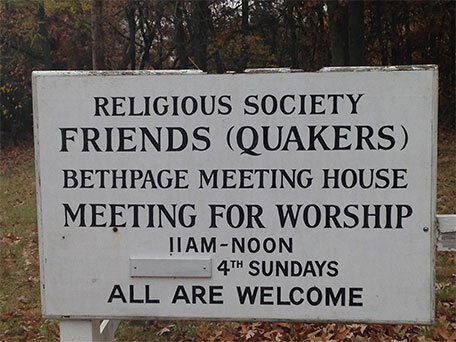 Bethpage Quakers first held meeting for worship in the home of Thomas Powell in 1691. A Preparative Meeting was officially allowed by Flushing Quarterly Meeting by minute on 12th Month 26th, 1697/98. Meetings for Worship continued in the Powell home until the first Bethpage meeting house was constructed. 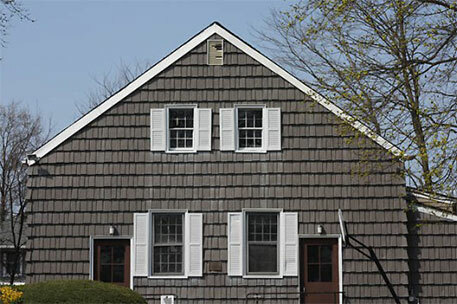 Now under the care of Westbury Monthly Meeting, Bethpage Preparative Meeting constructed its first meeting house in 1742. 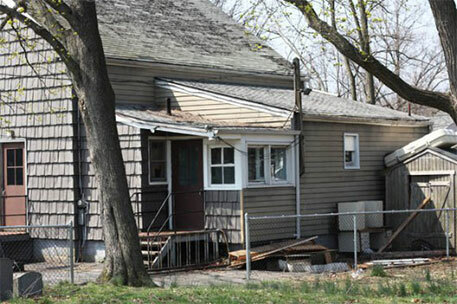 This simple structure at Bethpage was built on the south side of Quaker Meeting House Road. 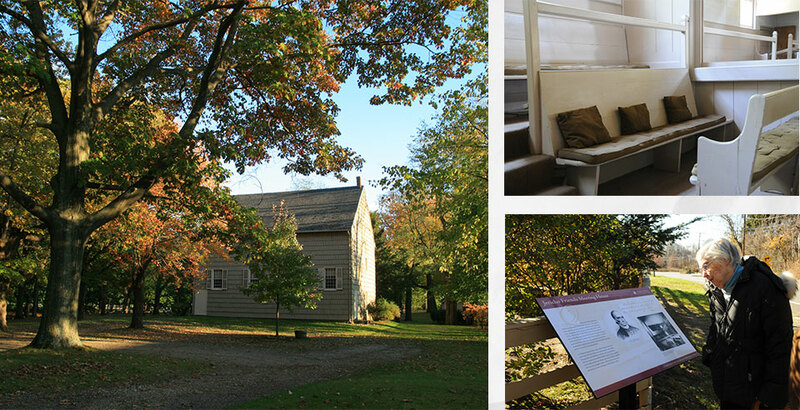 In 1743/44, Westbury Monthly Meeting accepted a transfer of the Bethpage meeting house from the private ownership of the Powell and Whitson families to general ownership and care of Westbury Monthly Meeting. 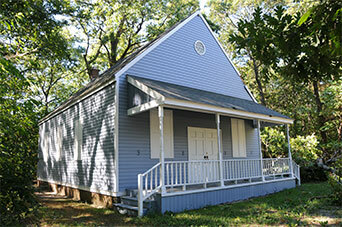 Bethpage Preparative Meeting flourished in its tiny meeting house until the house was destroyed by fire in 1816. 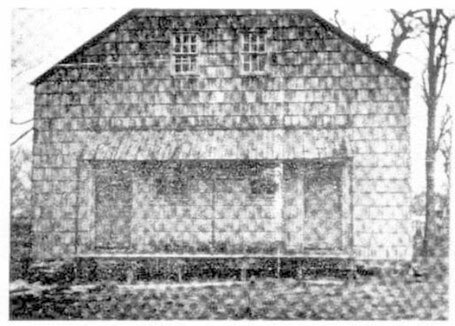 Undaunted, shortly thereafter, Bethpage Quakers built a second, more substantial meeting house on the north side of Quaker Meeting House Road. It looked much like the present day Jericho Meeting house with separate sections for men and women as well as a gallery. 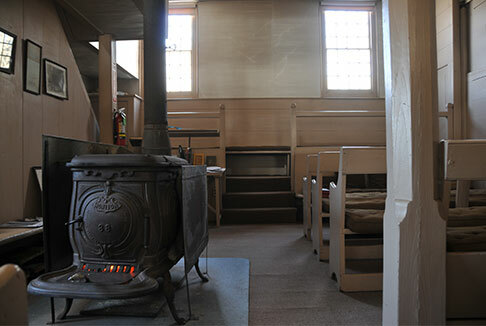 In addition to a room for worship, it had a schoolroom. In 1826 after visiting the Bethpage meeting house, Thomas Shillitoe wrote, “the Bethpage meeting house is placed in a solitude and a retired situation and pretty much in the centre of a small full grown wood. The horses are tied to trees round the house. Everything has a rustic appearance, a simplicity that strikes a stranger.” Sadly, the second meeting house, so quaintly described by Shillitoe, burned on March 11th, 1888 during the Great Blizzard. In 1789 Jericho Monthly Meeting was established and Bethpage Preparative Meeting came under its care. 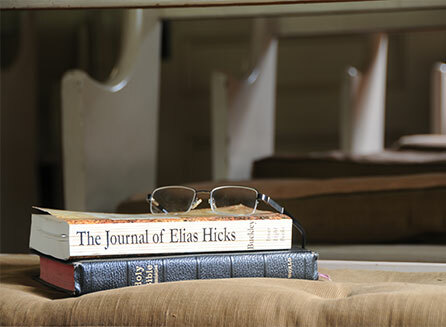 During this time, Bethpage Preparative Meeting was visited by the noted Quaker orator, Elias Hicks. 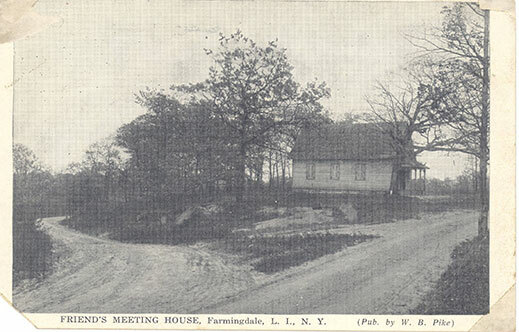 A third meeting house, built in 1889-90 on the north side of the road on a site near the second meeting house, was relocated in 1935 to the south side of Quaker Meeting House Road, a short distance inside the Farmingdale Village limits, as its previous site was taken for park purposes. In 1936, Nassau County Historian and Thomas Powell descendant, Jesse F. Merritt spoke at the re-opening of the re-located meeting house. He began his address by quoting Charles Lamb who said “The Abbey Church of Westminster hath nothing so solemn, so spirit soothing as the naked walls and benches of a Quaker Meeting.” Tragically, a third fire occurred in 1990 but from the ashes arose the present day building completed in 1992 and modeled in Quaker simplicity. In 1998 Bethpage Preparative Meeting celebrated its 300th anniversary with over seventy Friends present at the celebration. Elizabeth Moger, noted historian, was the keynote speaker. 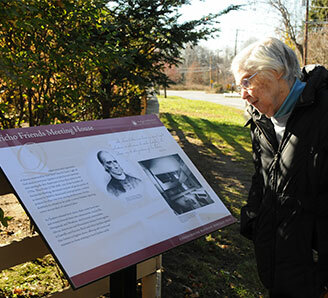 Many of the Friends in attendance were descendants of the original Powell family Quakers and settlers of this part of Long Island. Today, Bethpage Preparative Meeting counts among its members descendants of the original Powell settlers of Bethpage and Long Island. Meeting for Worship is held every fourth Sunday and all are welcome to attend. 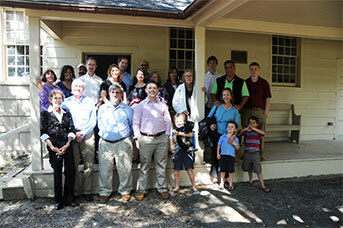 The Powell and Merritt families were among the first to inhabit Bethpage and share a long and rich history together. 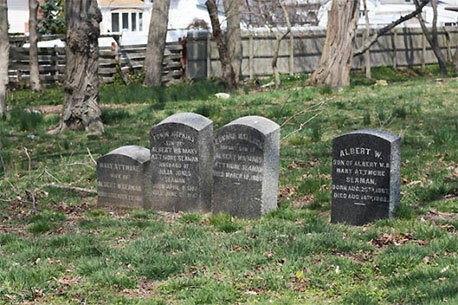 The first Jesse Merritt (1767-1843 buried at Bethpage Quaker Cemetery) was the son of Nathaniel and Anna Merritt. He married Mary Cornelius at the Bethpage meeting house in 1789. 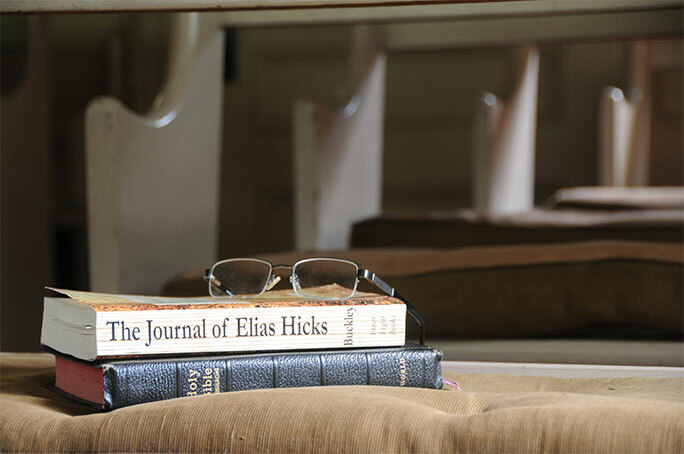 The first Jesse Merritt travelled with Elias Hicks, the famous Quaker minister of Jericho. His wife, Mary Cornelius, was a descendent of Thomas Powell renown for the “Bethpage Purchase.” Jesse and Mary had three children and their great grandson was the Nassau County Historian, Jesse F. Merritt (1889-1957). Jesse F. Merritt was born in 1889 in Bethpage, Nassau County, New York and was the son of Jesse Merritt and Pauline Willis, who were members of Jericho Monthly Meeting. In 1918, Jesse Merritt married Mabel Witte, who became a “convinced” Quaker in 1925. The couple settled on Long Island where Jesse Merritt owned and published a newspaper and was involved in local government and history. He would eventually become the Nassau County Historian, a position he held until his death in 1957. His wife, Mabel Merritt, was Clerk of Bethpage Preparative Meeting for forty years. Their two daughters, Jean and Jessica, attended Swarthmore College. Jean married Andre Hubbard and upon the death of her mother Mabel, assumed the position of Clerk of Bethpage Preparative Meeting. Jean Merritt Hubbard held the position of Clerk for almost forty years. Today, Jean’s son, Nathanial Hubbard, continues his family’s tradition and is Clerk of Bethpage Preparative Meeting. 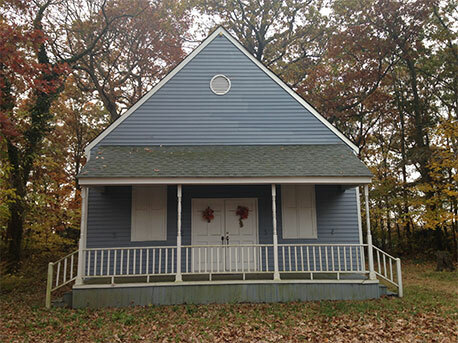 Meeting for worship is held in the little meeting house in the woods in Bethpage on the fourth Sunday of every month and all are welcome to attend. Jericho Monthly Meeting was established in 1789, set off from Westbury Monthly under Westbury Quarter. The Hicksite branch of the meeting remains active to date. The Orthodox branch was reportedly laid down in 8mo 1828, and its members were attached to Westbury, to be called Westbury and Jericho Monthly Meeting. This meeting house was built in 1827, and used until 1884 by the Hicksite Meeting, when they switched back to the Jericho Meeting House. This meeting house is no longer used actively by Friends. 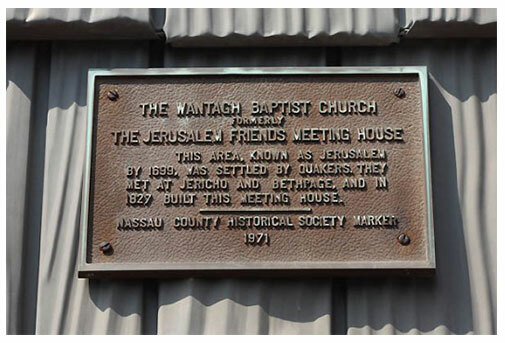 Now owned by the Baptist Church, the Jerusalem Friends Cemetery & Meeting House in Wantagh was the home of a brave number of people who stood for what they believed in. The meeting house and cemetery is now left behind to tell their story. The Society of Friends was an organization that formed in England by George Fox in 1647 and quickly spread to America. This religious group consisted of Quakers that were considered to have unorthodox views with their talk about the “Inward Light” as well as refusing to bow to authority figures. This behavior resulted in many persecutions. 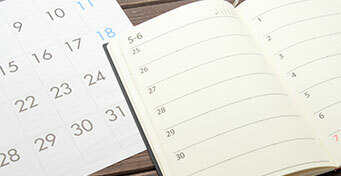 Meetings were held every five weeks on the first day in various towns and members' homes. In 1827, the Jerusalem meeting house was built on farmland owned by Ardon Seaman, who was a preacher until he died in 1875. 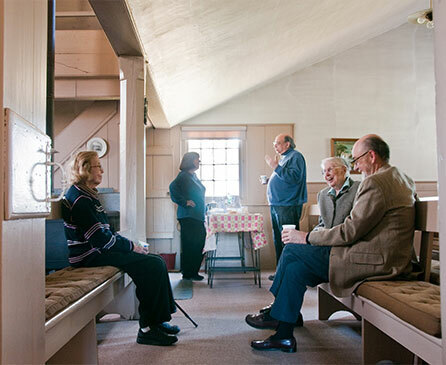 From 1908 till 1949 meetings were joined with the Jericho sector and the meeting house was only used for annual gatherings. The one and a half-story building was built from oak with a stone foundation. The timbers were pinned together by use of the mortis and tenon method. 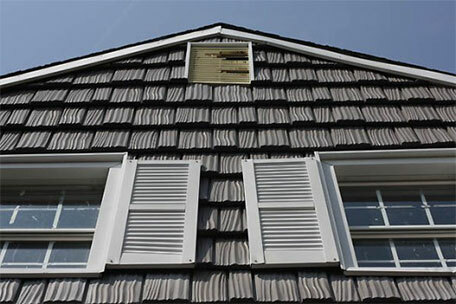 It had two brick chimneys and the exterior was covered in shingles. The cemetery on the land originally had 42 plots with 21 on each side. The price for a full plot was $8 while a half was $4. 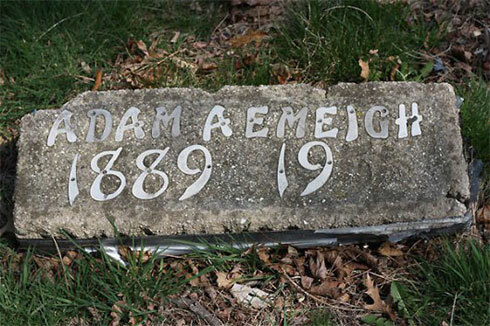 When the Baptist Church purchased the property in 1952, although the cemetery wasn’t included, it was understood it would be kept up and taken care of. While there is much history with the Quakers, all we have now is their stories and the land, which they were created. Members and residents like the Seaman, Verity and Southard family laid their heads to rest one last time and we all have the privilege to be in their company. They all will be remembered as brave, independent souls who wanted change and freedom. Holowrx Copyright © All Rights Reserved Jericho Monthly Meeting 2016.